Forrester wanted to evaluate Ogilvy's mobile capabilities, so they asked us to showcase a strategy and concept against a faux brief, focussed on a make-believe men's grooming brand. We called it the ManBrand. 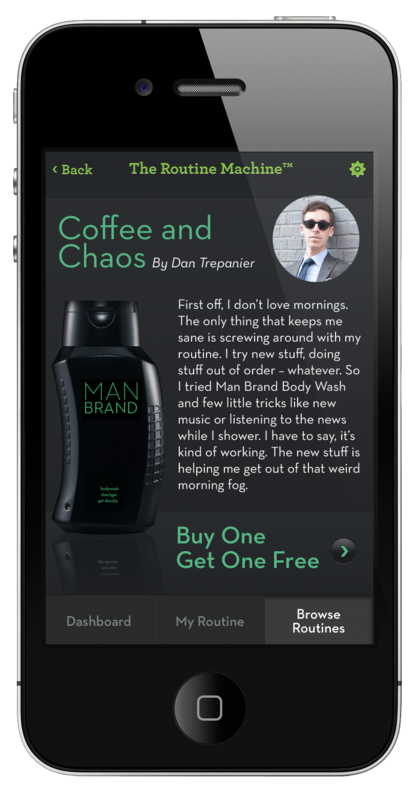 So how could ManBrand deliver value to their target and drive to purchase all via mobile? Well, mobile phones are an intergrel part of men's lives, using them from the start of the day. They are also driven by aspirational content, much like an Uncrate. And of course, they are not immune to discounts, especially when served right to them. o we concepted the Routine Machine app. We asked men to show us what their routines are like, and share it, and showcase influencer and curated routines of other men – while also making it shop-able. 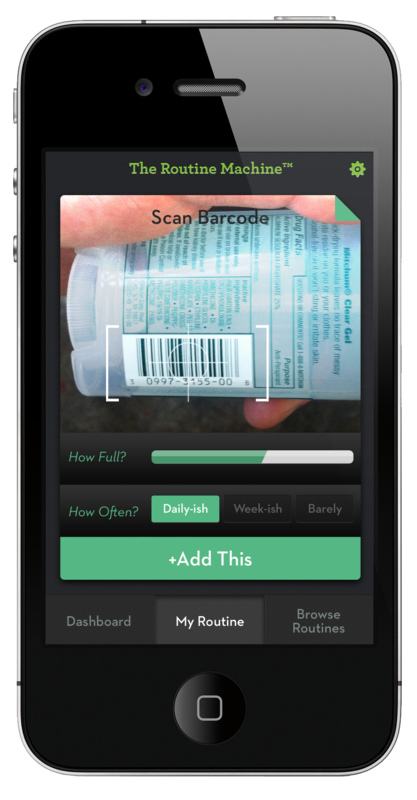 Now that we know what you use, we can push valuable coupons to be redeemed in store or online, as well as start to know when it's time for a refill. And they continue using the app because we have also made it their own personal routine dashboard, putting in one place all the info they want in the morning. orrester was quite impressed with the strategic thinking and creative concept.